As a business owner, it is common to be a bit anxious when your business has been on the market for a while and you feel like it’s going nowhere. Maybe you’ve been trying to sell your business for months, even a year and you’re feeling like giving up, don’t! If your business isn’t selling, the most important thing to do when selling your business is to stick with it. There are too many stories where business owners feel like their business hasn’t sold quick enough so they drop their asking price or take it off the market completely and try again in a year. Though these look like easy solutions to the problem, they really are not. Dropping the price of your business will not make more people inquire about your business. All that does is take away your negotiating position at the end if you do have somebody that is interested in buying your business. And though marketing your business costs money, taking your business off the market and trying again in a year will cost even more. As a business owner, you cannot think of marketing as just an expense, it is an investment and when you sell your business, you will receive your marketing investment back! At the end of the day, the way a business sells, comes down to the number of valuable inquiries received multiplied by the skills and dedication of the person selling the business plus presenting the business at a marketable price. 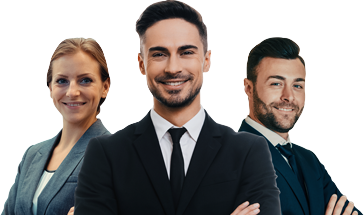 When you’re with Finn, your business broker is one of the most highly skilled, trained and dedicated business brokers in Australia. We’ve had experience with buying and selling hundreds and hundreds of businesses all across Australia so we know what it takes to sell a business. We have the knowledge and expertise to price your business to compete in the market as well as the marketing outlets to reach and filter thousands of potential buyers. Business sales is a numbers game and we are dedicated to winning it for you.